Finding inner peace begins with understanding how our thoughts influence our experience of our reality. In the picture below an explanation of the 5 steps of creation and how they are connected to each other. It begins with our thoughts. Depending on what we think we feel a certain emotion. This is sometimes referred to as the (mental/emotional body) That emotion, energy in motion, then gives rise to a certain action in our physical reality. The actions we take co-create our physical reality. 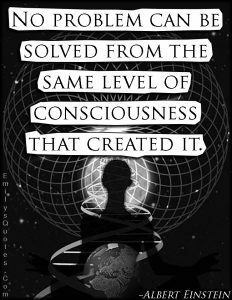 Because that co-created physical reality is in part based on the thought that set this whole chain in motion, it will reflect and therefore confirm the original thought. This completes the cycle. Many people will base their thoughts on their experience of physical reality and so the cycle goes round and round and round. Often people aren’t aware in the least how their own thoughts are actually the vital ingredients for how they co-create and experience their physical reality. To illustrate this 5 step cycle some examples. Thought: People are bad, people cannot be trusted. Emotion: Fear for other people. Action: Treating other people with suspicion. Arming yourself against other people. Reality: A world where people don’t trust each other. War, people killing each other. Conformation: You see. People are bad they kill each other. They cannot be trusted. But it also works with positive thoughts. Thought: I’m a good cook. Emotion: Feeling joyful about cooking. Action: Cooking (a lot) since it makes you and other people happy. Reality: Serving good tasting meals because you practice a lot. Conformation: You see. I am a good cook, people enjoy the meals I serve them. If we want to create a different reality, we first need to change our thoughts that helped shape that experience of reality. Now if we’re experiencing physical reality to be enjoyable then there is no reason to make any changes. If the 5 step cycle of creation goes round and round and repeats itself and it is serving us great then there is no problem. However if we’re experiencing our physical reality in a way we do not prefer then it is important to know how we can interrupt and change this 5 step cycle. Now the best way to change this cycle is on the level of our thoughts, since they cause the cascade of emotions and actions that cause us to co-create our reality. Once we can change our thoughts behind the experienced reality we don’t prefer, then we can start changing that reality. However if we keep basing our thoughts on the current experience of physical reality we don’t prefer then we won’t be able to change it. We will just keep repeating the same cycle over and over and over again. People often simply aren’t aware that they are actively co-creating the realities they don’t prefer through this 5 step cycle of creation. And if people aren’t aware of how they create their own experience of reality then they won’t be able to interrupt and change it to something they do prefer instead. This 5 step cycle of creation shows that negative thoughts, beliefs and belief systems will cause us to co-create physical realities we don’t prefer without us being aware of it and so not able to change it. To be able to transform the realities we do not prefer we need to learn to transform our negative thoughts, beliefs and belief systems that have created them. The next tool, called The Work, will show us how we can do exactly that. It will teach people how they can investigate, turn around and transform/integrate their bad feeling thoughts, beliefs and belief systems. And by doing that it empowers them to change their reality. 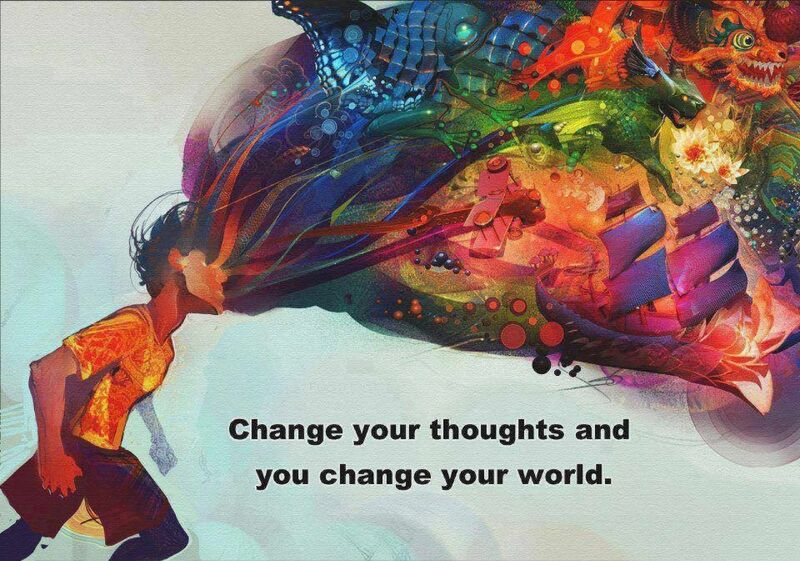 Change your thoughts and you change (how you experience) your world.